​Portsmouth Moving offers a complete range of moving and storage solutions for all your needs. It is our mission to make your move as stress-free and affordable as possible. We offer complete moving planning services to ensure everything from your estimate is accurate to the exact date/time scheduled. We offer turn-key packing services providing you with a complete hands-off approach if desired. Further, if you want to pack yourself, we offer all the moving and packing supplies you will require. We specialize in local Virginia moving but are just as capable to execute a long distance move across the country for you or your business. We also offer storage solutions for situations where you can move out and move in the same day, and therefore need to store your household possessions for just a few days or up to a year or more. Lastly, we offer third-party solutions to make your move that much easier, in terms of providing you with service providers around home electronics/theater, pet boarding/sitting, house cleaning, etc. 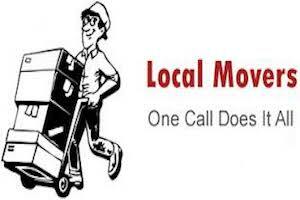 No matter what level of moving service you need, Portsmouth Moving can make your next move affordable and easy. ​When you call one of our Moving Consultants you can learn about all of these services and more. Expect to be treated professionally and with the utmost courtesy as we ask you about the nature of your move, the items you would like moved, dates and times, and any special or unique requirements you may have. We provide instant quotes over the phone for most customers, and we can schedule most moves to take place as early as the next day but no later than 7-10 days. Whether you are moving across the town, the state, or country, Portsmouth Moving can service all your needs. We are fully licensed, insured and bonded, so rest assured that you will have complete peace of mind as we move your possessions from one location to another. We are the movers Portsmouth resident and business owners want and deserve. Call us today to discuss your next move.